Speech therapy products | Rose Medical Solutions Ltd.
View our wide range of speech therapy products including: speech therapy software, electropalatography (EPG), nasometry, nasal anemometry and electroglottography (EGG) systems. Shows you how to pronounce any sound, word or sentence. Records your speech and lets you compare it to an example. Provides instant feedback on your speech intelligibility. Contains a 21,000 word pronunciation dictionary. Contains a 40 lesson English pronunciation guide. It's important to be able to hear the difference between sounds in order to produce them accurately. Discriminating between sounds is often practised using 'minimal pairs'. A minimal pair is a pair of words where only one sound is different, for example 'pin' versus 'bin'. Speech therapy games provide a fun and interactive environment for children to learn about speech. They also encourage children to practise their speech exercises for longer. icSpeech Games contains six interactive speech therapy games. Each game features adjustable targets, rewards and can respond to a number of speech parameters. There's also a built-in voice recorder so you can record the gaming sessions. Whether you're a professional speech and language therapist or a home user, making recordings before, during and after therapy has many benefits. Lets you document your progress. Lets you compare your speech with example recordings. Hearing your progress helps build confidence and keeps you motivated. Using picture prompts makes recording fun and interactive. Helps to prove therapy efficacy. Enables the sharing of data with others. Lets you perform quantifiable measurements on a range of speech parameters. You can also record your speech, create target displays, and perform measurements on a range of speech parameters. icSpeech Standard Edition contains six of our most popular software products in one easy-to-use application, making it one of the most comprehensive, yet affordable, speech therapy packages on the market today. icSpeech Professional Edition is multiparameter speech therapy software designed specifically for clinical use. It can be used for assessment, therapy and for the measurement of outcome. Nasal and oral speech intensity. LinguaGraph is an electropalatography (EPG) unit that monitors tongue contact with the hard-palate during speech. LinguaGraph provides direct articulatory information that can be used to monitor and improve articulation patterns. The lightweight portable design and Skype compatibility make LinguaGraph ideal for clinical and home-based articulation therapy. LinguaGraph is compatible with the Reading electropalatography palate design. Each EPG palate is custom-made and simply clips to the upper teeth. In order to create an EPG palate, a qualified dentist is required to take an impression of the upper palate and teeth. A plaster model should then be created from the impression and sent directly to us. Full instructions on how to create the plaster model are provided. The Nasality Microphone is a handheld nasometry unit that detects nasality in speech production. It uses a lightweight acoustic separator that is fitted with highly directional nasal and oral microphones. The portable design and USB compatibility makes the Nasality Microphone ideal for clinical or home-based speech therapy. 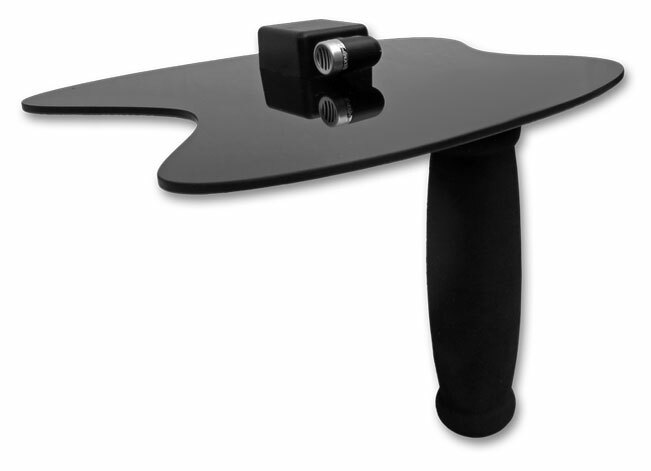 Slip-on foam windshield, made from durable, high quality open-cell controlled-density acoustic foam. Designed to protect the microphone element from contamination, and to reduce noise from plosive sounds. SNORS detects nasal and oral airflow during speech to provide a non-invasive objective assessment of velopharyngeal insufficiency (VPI). It uses a lightweight dual chamber mask that is held over the nose and mouth. A soft silicone cuff moulds to the contours of the face providing a comfortable air tight seal. 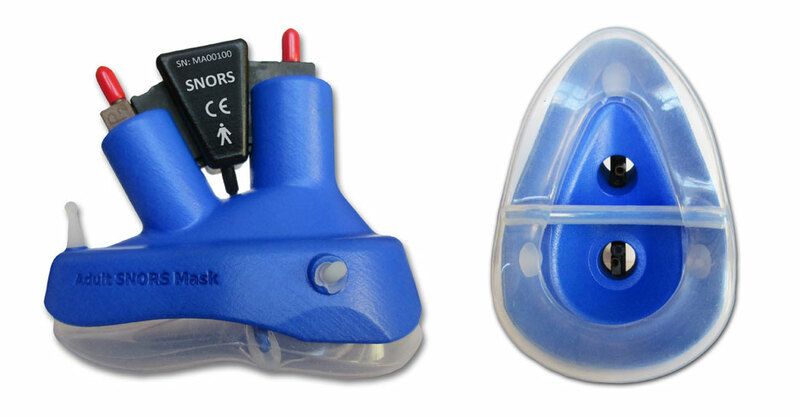 Rapid response airflow sensors and microphones are contained in both the nasal and oral chambers of the mask to enable aerodynamic and acoustic analysis. Electroglottography (EGG) is a non-invasive technique of monitoring vocal fold vibration by sensing the electrical conductance between two electrodes placed on the neck. 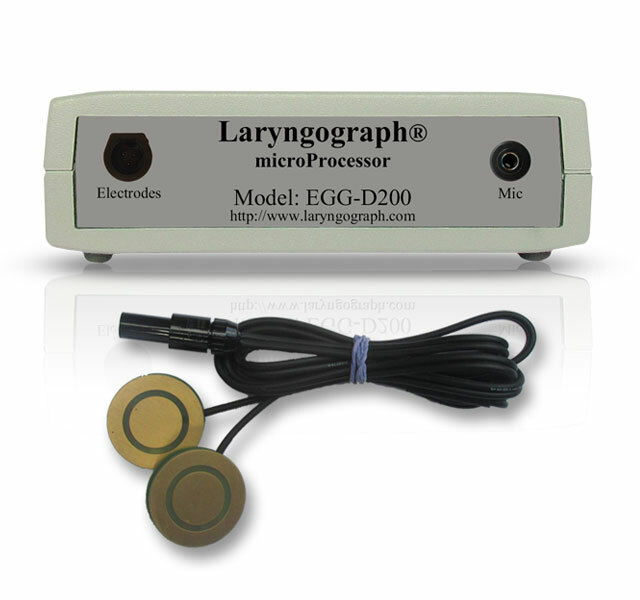 The EGG-D200 is a portable electroglottography system that provides qualitative and quantitative information on vocal fold vibration. A frame grabber is a device that captures (or grabs) digital frames from analog or digital video streams directly to a computer. This allows established imaging techniques such as videofluoroscopy, nasendoscopy, stroboscopy and ultrasound to be synchronously viewed alongside multiparameter speech data. This can have the advantage of revealing phenomena that is not always evident in the image alone.